Three students of Amity University, Noida, were killed while seven others injured after the SUV rammed into a bricks-laden tractor trolley in outer Delhi's Alipur area on Saturday night. 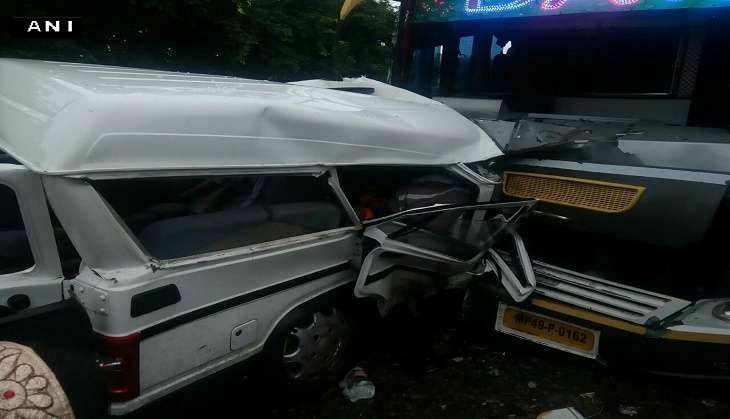 According to the police, a group of BTech second year students of Amity University were going to Murthal in a hired Scorpio when the accident took place on National Highway-1 late last night. Police said one of the students was driving the car at high speeds when he lost control of the vehicle and it rammed into the tractor trolley. The students were thrown out of the vehicle upon impact. The car was completely mangled, a police officer said. The deceased have been identified as Shikhar, Ujjawal and Rajesh. They were declared brought dead by doctors at Satyawadi Raja Harish Chander (SRHC) Hospital. Shikhar belonged to Meerut, while Ujjwal hailed from Bhiwani. They were the only children of their parents. The tractor driver escaped from the spot after the accident and police were searching for him to know the exact sequence of events. The injured students - Subham (21), Pranav Pandey (20), Vijay (20), Shubham (19), Reefat (21), Vanshika (20) and Pooja (21) - were admitted to SRHC hospitals. Pranav and Shubham were in critical condition and were shifted to LNJP Hospital here, said MN Tiwari, DCP (Outer). "A case under sections 279 (rash and negligent driving) and 304A (death caused due to negligence) has been registered at Alipur police station. Further investigations are underway," said Tiwari. The accident disrupted traffic movement on the national highway for sometime.